I review destinations from the perspective of a legally blind visitor. Please take a moment after you read this to check out some of my other destination reviews. 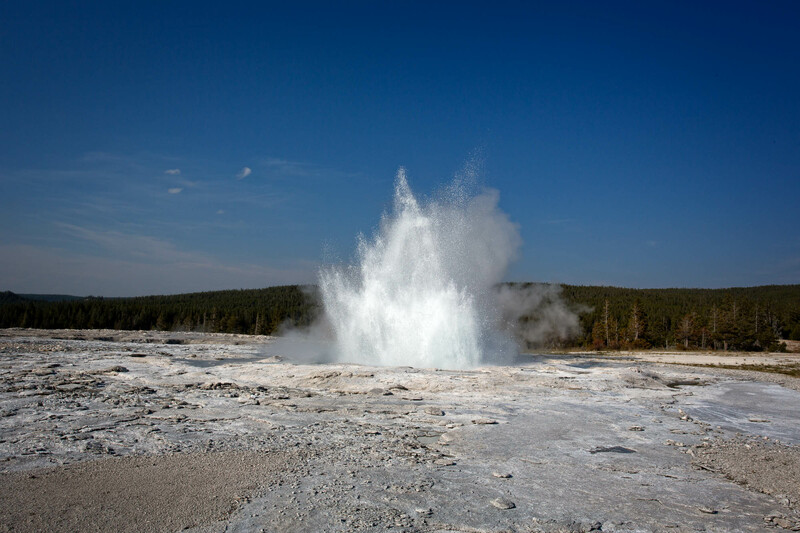 Yellowstone was established by the U.S. Congress and signed into law by President Ulysses S. Grant on March 1, 1872. 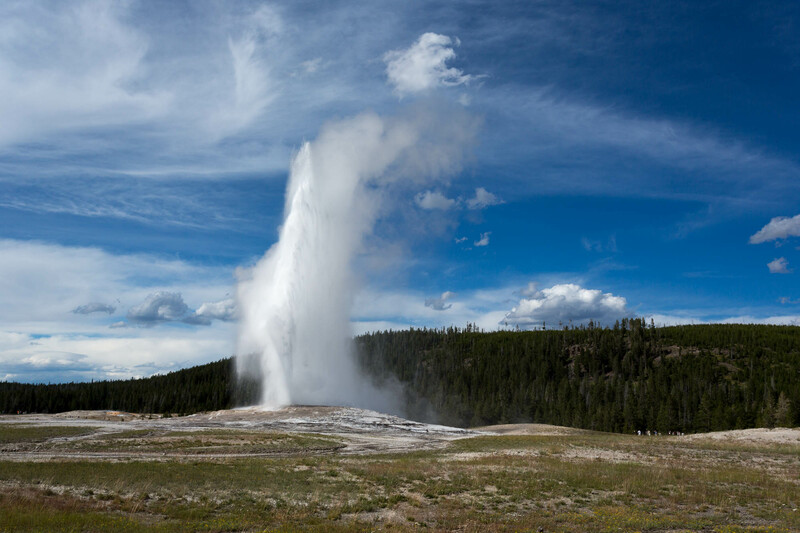 Yellowstone was the first national park in the U.S. and is also widely regarded as the first national park in the world. 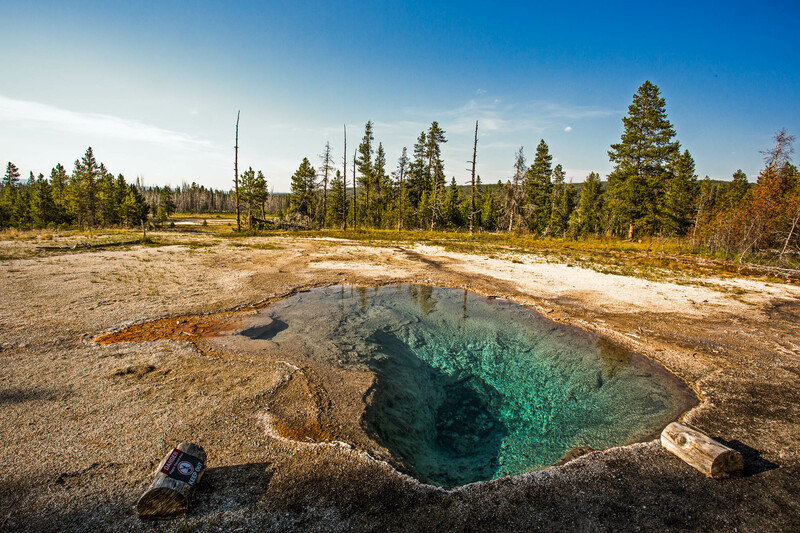 The park is a thermodynamic hotspot with many active geysers and thermal pools. Wildlife can seemingly be seen at every turn, from bison and elk to bears and bighorn sheep. How does the oldest national park stack up when looking at it from the perspective of a visually impaired traveler? 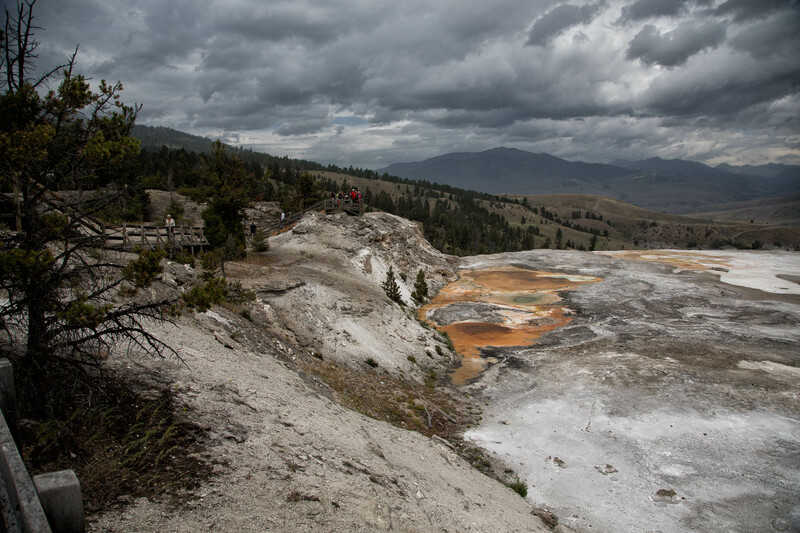 When first researching Yellowstone as a possible destination, most will undoubtedly learn that the park is situated on top of an inactive supervolcano that by some estimations is well overdue for eruption. The reality of the matter is that geological time is measured in millions of years, and the likelihood of an eruption in our lifetimes is slim at best. Depending on the source, the supervolcano is either ready to blow at any moment, or just going through more settling phases after its most recent eruption 640,000 years ago. Pick a crystal ball and decide if visiting this supervolcano is worth the risk. 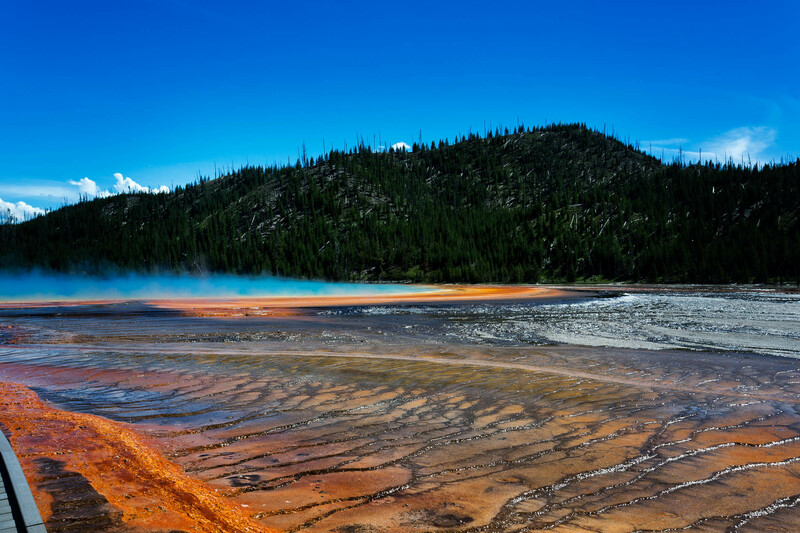 Yellowstone is such an amazing place to visit, and is unlike any other on earth it its beauty, splendor and thermal activity. 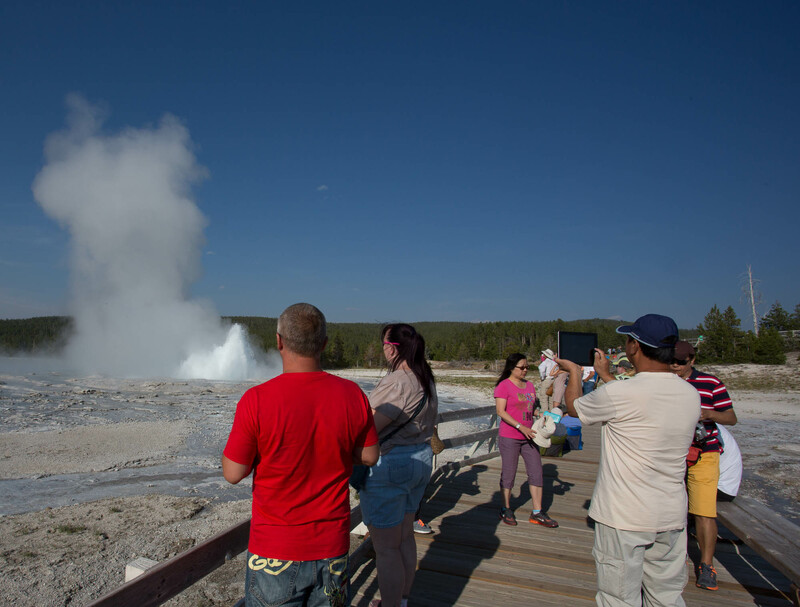 For those with visual impairments, the supervolcano is not the most prevalent danger, rather the visitor infrastructure poses a much more immediate danger. 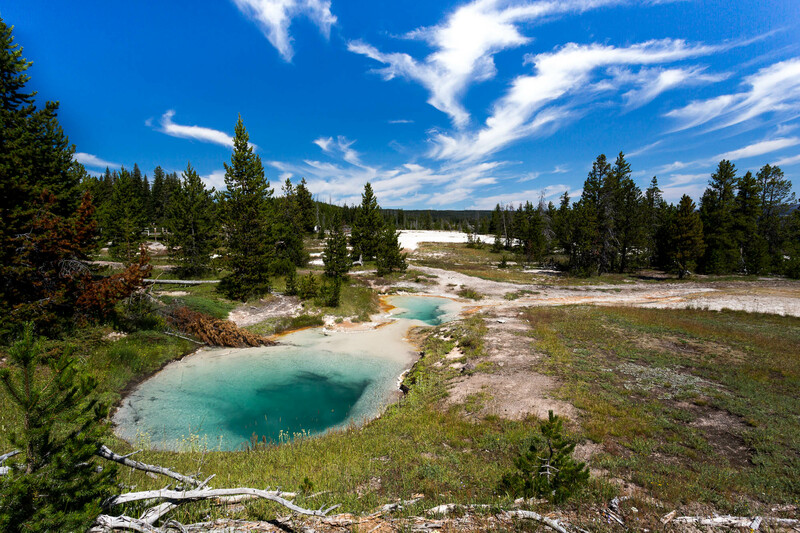 The photo above is an example of the safer parts of the park for those who are visually impaired, throughout most of the geothermal spectacles in the park, there are walkways that extend over and near boiling pools of geothermic heated water. Most have waist-high rails that a visually impaired visitor can easily and safely walk along, but there are just as many attractions that have the same walkways as above, but instead of the waist-high rails, a small edge only a couple of inches high is all that keeps guests from walking off the paths. I completely understand this – the rails and other obstructions keep the visitors from being able to appreciate the attractions in all their natural glory. I observed many many guests walking along looking at the attractions, and inadvertently walked right off the path. These were people who I presume were fully sighted. The curbs are small enough that a solo-navigating white cane user could easily miss them if they have the cane tip too high in the air. Now, I am not suggesting that those who are visually impaired not visit the park, far from it. I recommend that you put a plan in place for safe navigation before you arrive at the park. When I was first researching my trip to this beautiful location, the importance of the lower rails (curbs) was not emphasized on any of the sites I visited, and the number of the low rails (curbs) caught me by surprise. I’m not a nervous Nelly when it comes to navigating this type of terrain, but I can easily see that this could be a concern for those with visual problems and may not be as steady on their feet. The amazing beauty of this park is something that should be experienced by everyone, regardless of their visual acuity in my opinion. If you have a sighted guide(s) like I do, utilize that method of traversing the walkways and you will be just fine. With my limited sight, I was not comfortable with solo navigation using only my cane – your situation may be different. The paths (not the walkways by the thermal attractions) for the most part in the park are immaculately maintained, and I did not find myself having to navigate around any large rocks in the middle of the paths. Even in the more backwoods and off-the-beaten-path trails we ventured onto, the terrain was generally flat and incredibly easy to navigate. The walkways around the thermal attractions are also generally flat, with a few stairs that were easily traversed using well-placed and well-maintained handrails. The curve of the rails matched the flat areas of the stairs as you would expect them to – really great for an older park. All of the rails were in good condition considering the harsh environment, a hearty good job goes out to the maintenance crews who keep these up. If you can see color, much of the landscape and the thermal attractions are absolutely breathtaking. In the lower left-hand corner of the photo above, you can see the height of the “curb” that is present on many of the walkways around the larger thermal attractions. Since Yellowstone is a National Park, they are on point with their support for the visually impaired. You can obtain copies of the official park map in large print at any of the visitors centers, and the park newspaper is available in braille at all visitor centers. An audio description of the Official Park Map and Guide is available to listen or download. The Official Park Map and Guide gives a description of the attractions and facilities available inside the park. You can listen to or download the audio files at this link. With a bit of communication, I found the rangers, docents and visitor center staff to be very accommodating in their descriptions of the park attractions. 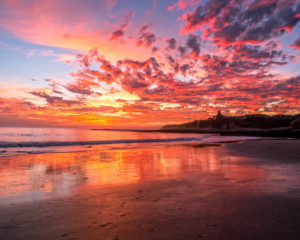 The America the Beautiful – the National Parks and Federal Recreational Lands Pass or “Interagency” Access Pass is a free, lifetime admission and discount pass for US citizens or permanent residents with permanent disabilities. The pass admits the pass owner and any accompanying passengers in a private car. The Access Pass replaces the Golden Access Passport, which is still valid, but can be traded in for the new, more durable Access Pass. 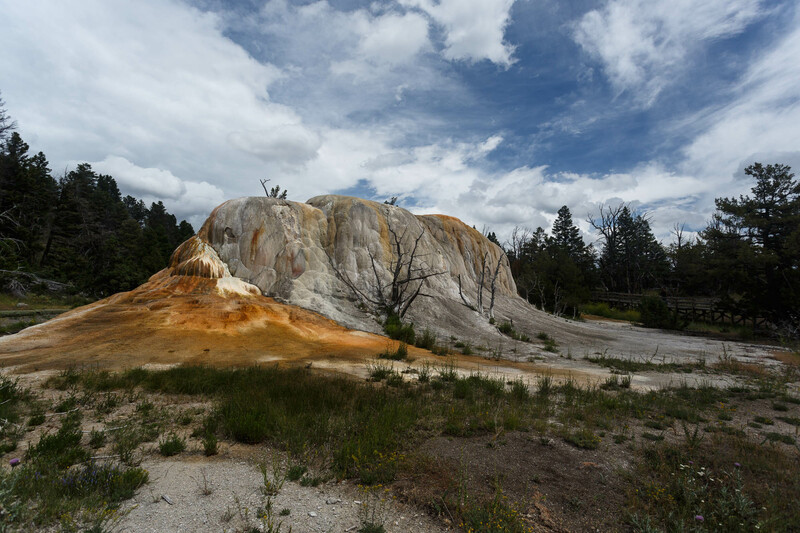 You can obtain an Access Pass at Yellowstone’s entrance stations, visitor centers, and Visitor Services Office. 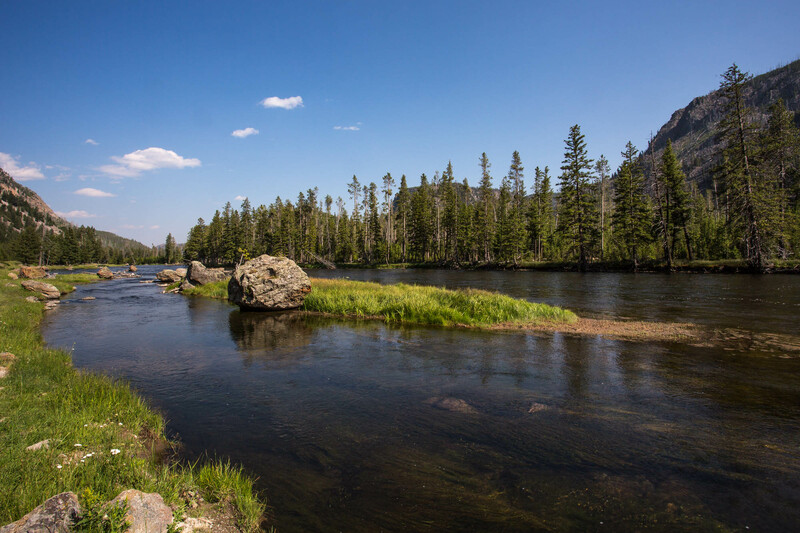 With a bit of planning, you can easily put a plan in place to visit our first national park. Don’t let my concerns about the walkways deter you from taking a trip to visit this amazing place. I would visit here again in a heartbeat if I had the chance. Once you see some of the attractions, you will understand why the land was set aside as our first National Park.